Calendula is "vulnerary", which means that it is used in wound healing. It's antibacterial and antimicrobial properties help to speed up wound healing. It is also a powerful astringent. Germs cannot thrive in an environment where calendula is present, and it helps to prevent scab formation too early in the healing process. It is also anti-inflammatory. 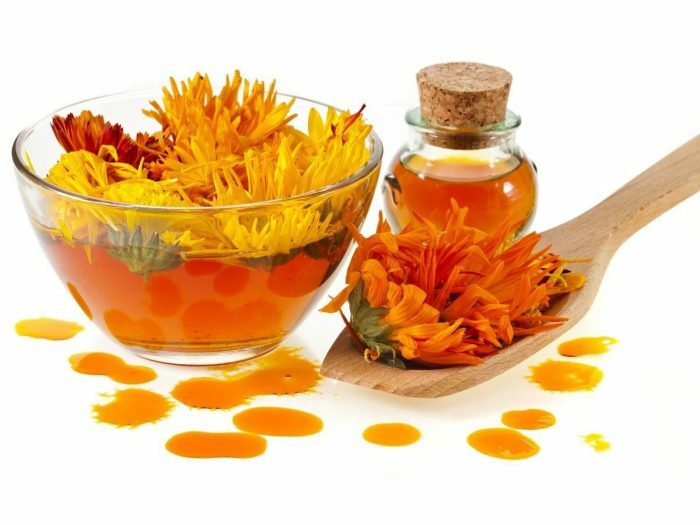 Acne, insect bites, bee stings, etc... all respond very well to calendula. From LiveStrong.com: "A study in the 2009 issue of the Indian Journal of Experimental Biology found that calendula works by inhibiting the signaling molecules and enzymes that trigger the body’s inflammatory response." Calendula is even being researched as a component for fighting off certain types of cancer. More from LiveStrong.com: "Calendula shows some potential for fighting cancer. A study published in the 2006 issue of BMC Cancer found that an extract of calendula killed cancerous melanoma cells and stimulated lymphocytes, the white blood cells of the immune system. Another 2006 study, published in the Journal of Natural Products, found that two triterpene glycosides in calendula flowers had a toxic effect against colon cancer, leukemia and melanoma." It's definitely worth a shot for many ailments! As with anything, natural or otherwise, side effects may occur, so make sure to test a small amount first to make sure you are not allergic or have any adverse reactions.